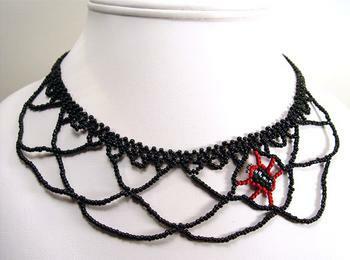 The web of this necklace is made of shiny black seed beads. The spider is made of red, black and dark green beads. The necklace is 16 1/2" long and is completed with a gun metal clasp.